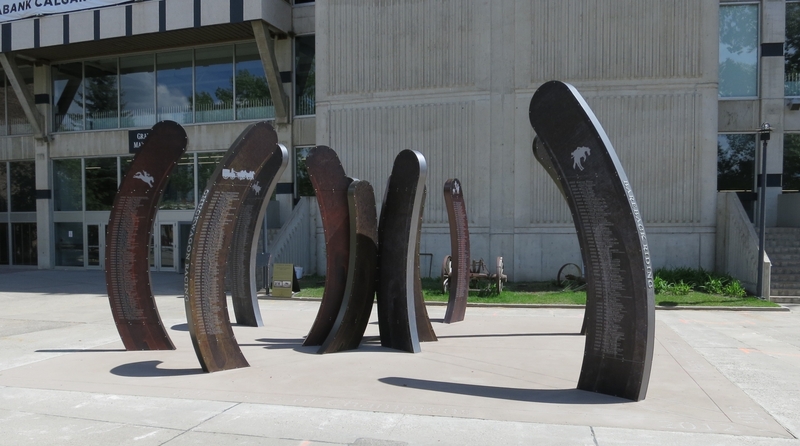 You’ve probably walked past at least a few of these works on the Calgary Stampede Art Walk. They might be more meaningful than you think. 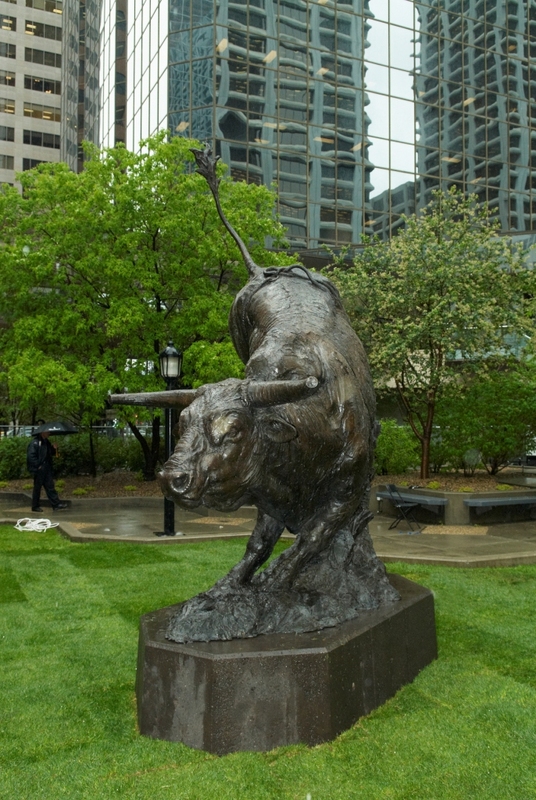 The Ride, one of two low-and-high relief sculptures installed in 2008. Photo By Reg Tiangha. 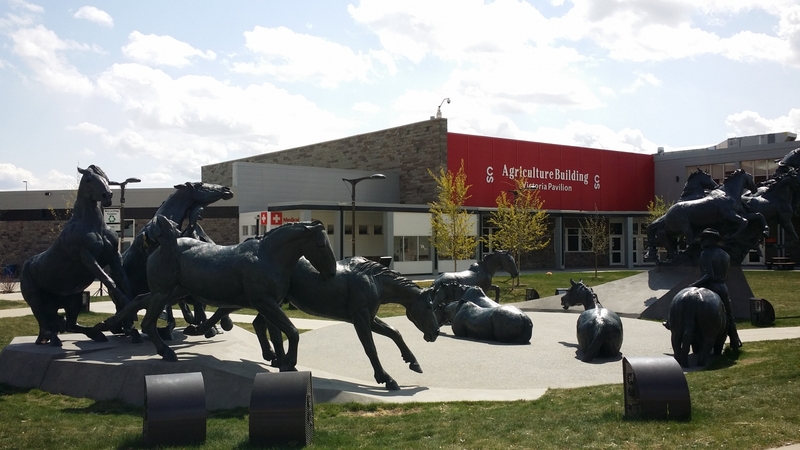 Much like Christmas, Stampede season comes but once a year but its spirit is one we should keep alive the whole year round. 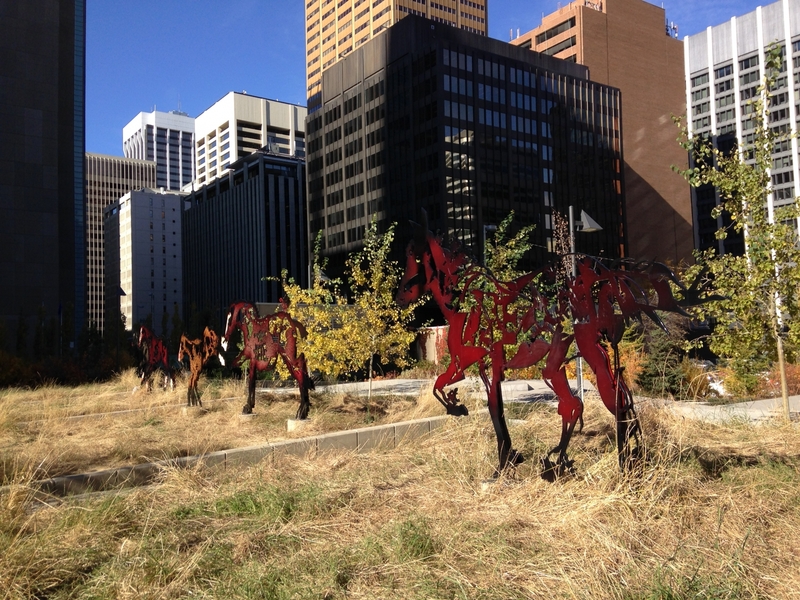 Tammy Yamkowy, chair of the Calgary Stampede Public Art Committee, is working to do that. 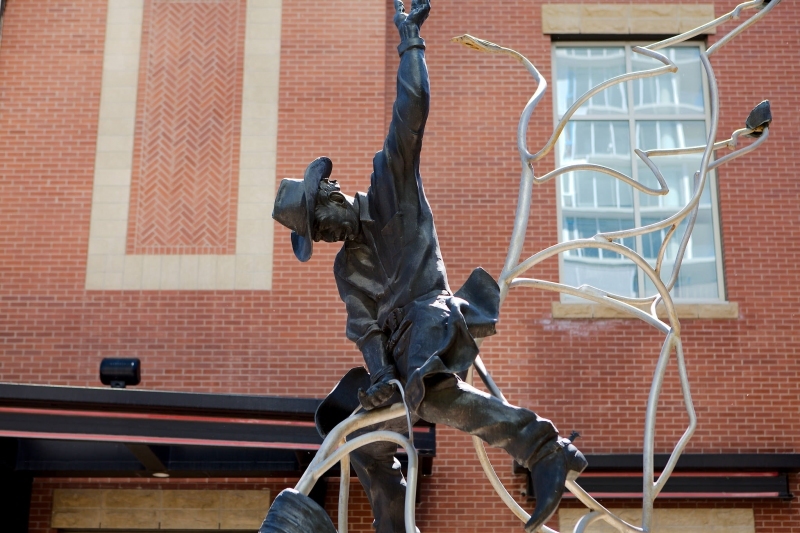 The Calgary Stampede has created so many public art pieces over the years that they constitute their own art walk. There is programming throughout the year to learn more as well as an online art walk map for self-guided tours anytime. 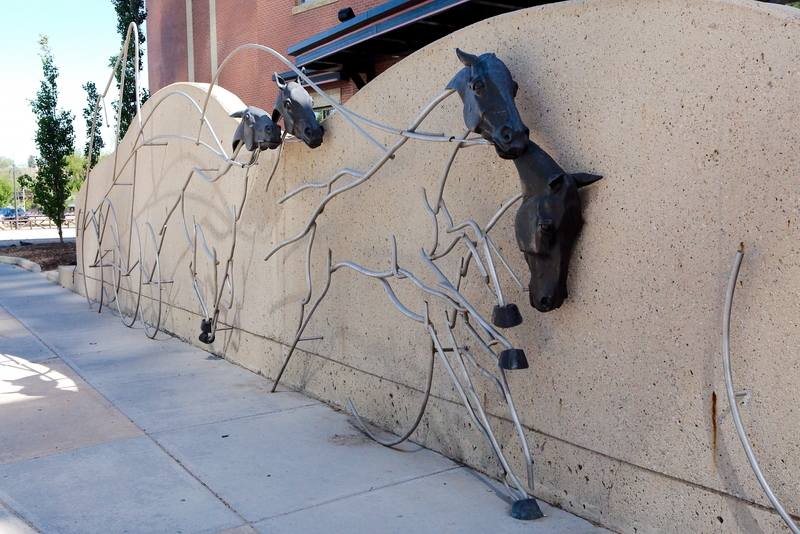 Here are the stories behind a few of the pieces you’ll find on the Stampede Art Walk. 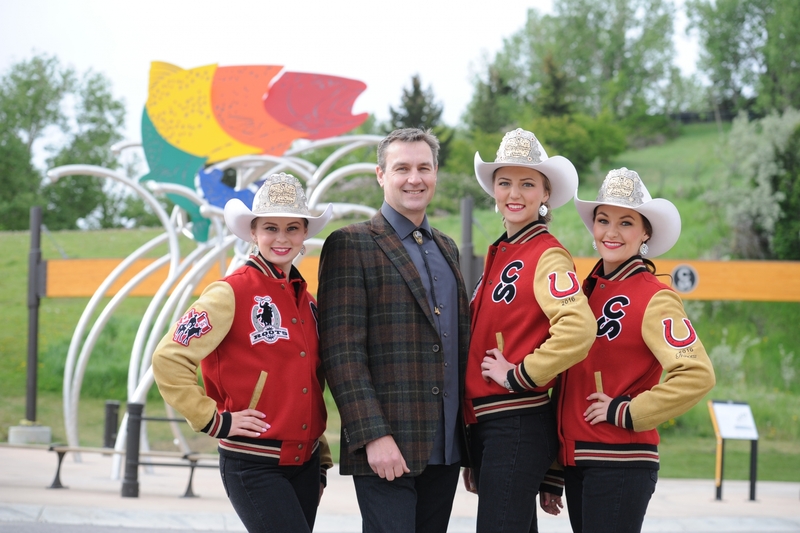 The recently unveiled “Rainbow Trout”, seen here with creator Jeff de Boer, Stampede Queen Maggie Shortt, Princess Bailee Billington and Princess Chelsey Jacobson, pays homage to the eco-system, fauna and the Elbow River that it lives next to. “We wanted to show a different side of the Stampede,” says Yamkowy.